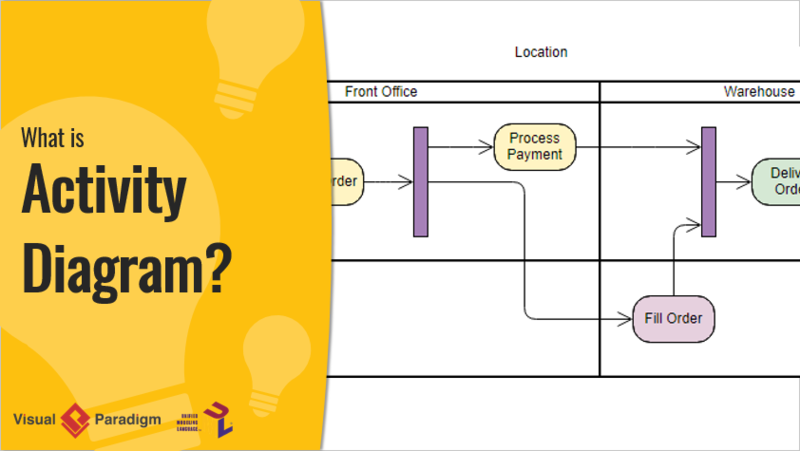 Current: What is Activity Diagram? 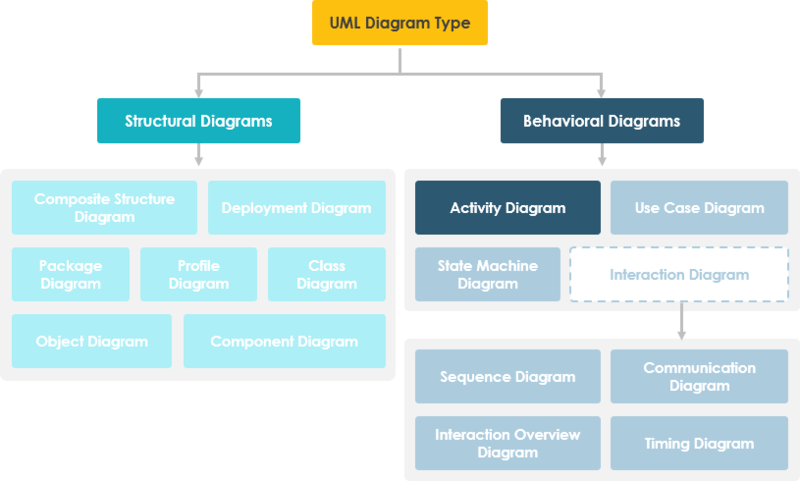 Activity diagram is another important behavioral diagram in UML diagram to describe dynamic aspects of the system. 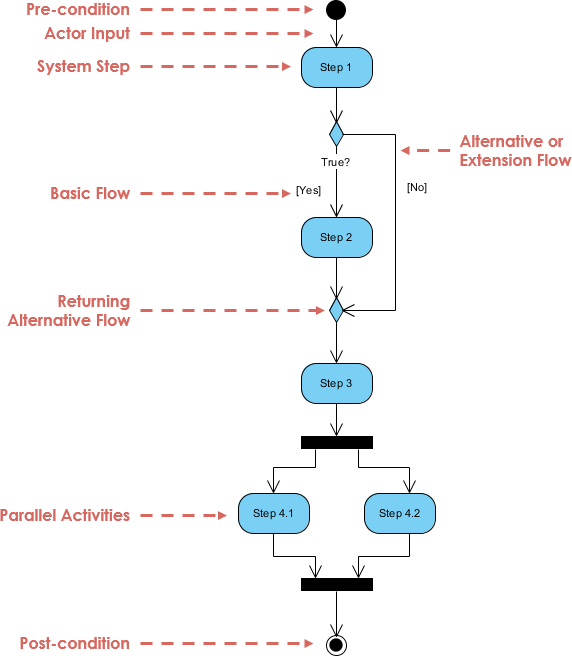 Activity diagram is essentially an advanced version of flow chart that modeling the flow from one activity to another activity. Open the word processing package. Save the file under a unique name within its directory. If graphics are necessary, open the graphics package, create the graphics, and paste the graphics into the document. If a spreadsheet is necessary, open the spreadsheet package, create the spreadsheet, and paste the spreadsheet into the document. Exit the word processing package. 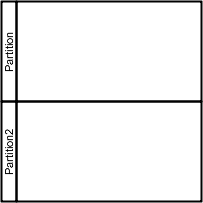 Once the order is received, the activities split into two parallel sets of activities. One side fills and sends the order while the other handles the billing. On the Fill Order side, the method of delivery is decided conditionally. Depending on the condition either the Overnight Delivery activity or the Regular Delivery activity is performed. Finally the parallel activities combine to close the order. 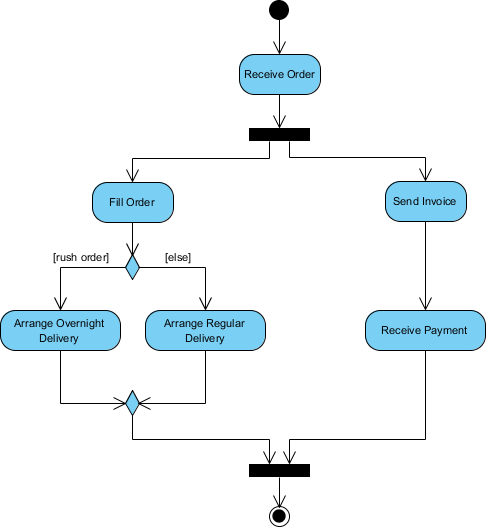 The activity diagram example below visualize the flow in graphical form. An applicant wants to enroll in the university. The applicant hands a filled out copy of Enrollment Form. The registrar inspects the forms. The registrar determines that the forms have been filled out properly. The registrar informs student to attend in university overview presentation. The registrar asks the student to pay for the initial tuition. 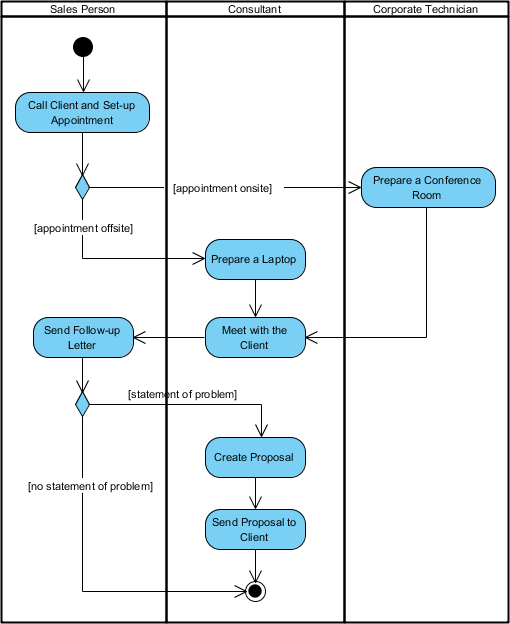 The activity diagram example below describes the business process for meeting a new client using an activity Diagram without swinlane. 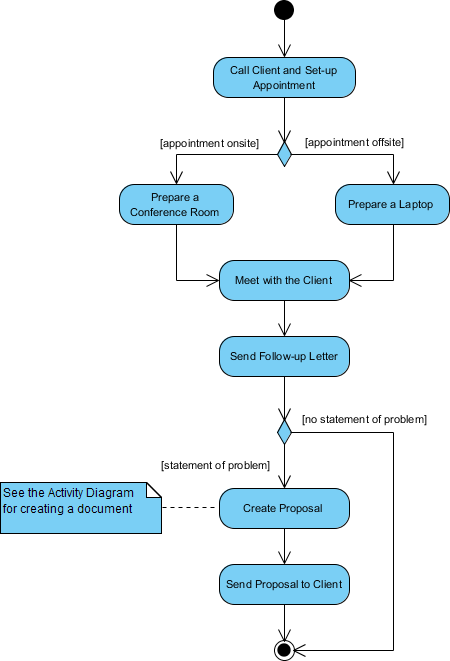 This figure below describes the business process for meeting a new client using an activity Diagram with swinlane. Show the flow of an object from one activity (or action) to another activity (or action). Bring back together different decision paths that were created using a decision-node. Bring back together a set of parallel or concurrent flows of activities (or actions). You've learned what a Activity Diagram is and how to draw an Activity Diagram. It's time to draw an Activity Diagram of your own. Get Visual Paradigm Community Edition, a free UML software, and create your own Activity Diagram with the free Activity Diagram tool. It's easy-to-use and intuitive.